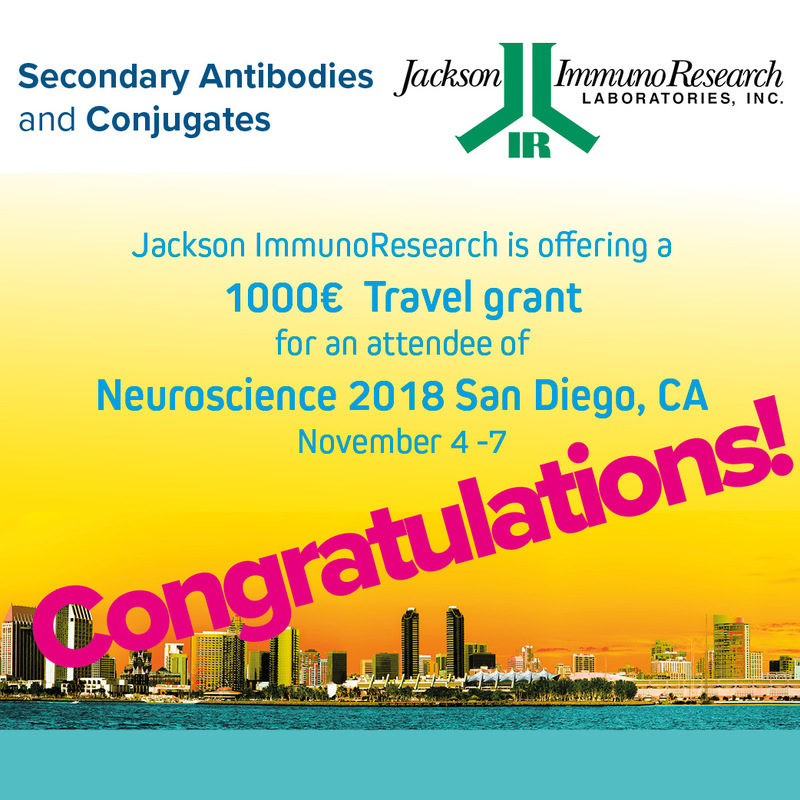 Congratulations to the recipient of Jackson ImmunoResearch’s €1000 travel grant for SfN Neuroscience 2018! Jackson ImmunoResearch is delighted to be able to offer travel funding to support researchers attending academic meetings and conferences. 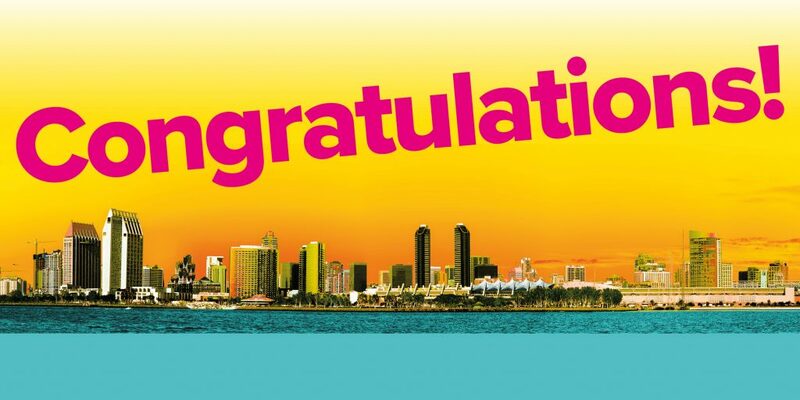 JIR invited applications from attendees of the Society for Neuroscience’s 2018 annual conference in San Diego California to receive a travel award of €1000. SfN’s 48th annual meeting, Neuroscience 2018, is the world’s largest neuroscience conference for scientists and physicians devoted to understanding the brain and nervous system. 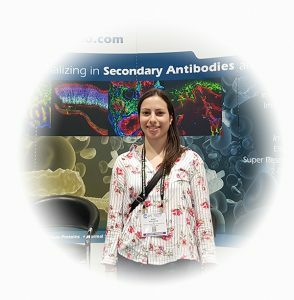 The lucky recipient of JIR’s SfN 2018 travel grant was Judit Glavinics from the Institute of Experimental Medicine at the Hungarian Academy of Sciences. Read about her research and her experience at the Neuroscience 2018. Judit has a BSc in molecular bionics engineering and is currently, pursuing an MSc in computer science. She joined the lab of István Katona at the Institute of Experimental Medicine, Hungarian Academy of Sciences 3 years ago and has learned several anatomical and microscopic techniques such as super-resolution STORM microscopy. “Our lab’s main research interest is the endocannabinoid signaling that can negatively regulate synaptic strength in a retrograde manner. The major receptor for endocannabinoids is the presynaptic CB1 cannabinoid receptor that is widely expressed in the brain. The activation of CB1 receptors leads to the inhibition of the voltage-gated calcium channels and molecular components of the release machinery that results in decreased neurotransmitter release. The impaired function of the endocannabinoid system has been implicated in several diseases, including epilepsy and Fragile X syndrome but in each disorder, different brain circuits and cell types are involved. “The SfN 2018 was a wonderful experience knowing that this was the first conference abroad I have ever been a part of. It was awesome to see all the neuroscientists from around the world investigating exciting questions. Not to mention, there were more than 28000 participants. I had a planned schedule for the conference before I even arrived in San Diego because I knew coming into this event I will have a busy schedule. Then, on the first day, I surprisingly noticed that the venue was so big that I should schedule time for getting to the poster section from the lecture hall. The SfN mobile app was a huge help as far as planning goes because with it I could find and add to my calendar all the presentations and posters I was interested in. Before the conference I thought four hours for a poster section would be more than enough but later I realized that it is not so much the case and I did not always have time to visit all the scheduled posters. Despite how tired I was by the end of the SfN, the conference was an amazing experience and I got back home with many new ideas. I think it is always extremely useful to spend a few days in such an inspiring milieu. Most GABAergic interneuron types can be distinguished based on their calcium-binding protein expression profiles. However, surprisingly, to date, no specific EF-hand calcium-binding proteins have been described in CB1 cannabinoid receptor-positive interneurons, which represent a major population of GABAergic cells throughout the forebrain. Since calcium buffering has a fundamental role in shaping various neuronal functions, we investigated whether this interneuron family expresses yet undetected calcium-binding proteins. In silico analysis of a publicly available single-cell RNA-sequencing database (Zeisel et al., 2015, Science, 347:1138-42), in situ hybridization, immunofluorescence staining and confocal microscopy was used to identify the EF-hand calcium-binding proteins expressed by the CB1-positive interneurons. In silico analysis uncovered high mRNA expression levels of the N-terminal EF-hand calcium binding proteins 1 and 2 (NECAB1 and NECAB2) in the CB1-positive hippocampal interneuron population. We confirmed that the majority of CB1- positive cells indeed expressed NECAB1 and NECAB2 mRNA at high levels by using RNAScope multiplex fluorescent in-situ hybridization assay in hippocampal mouse brain slices. calcium binding proteins in CB1-positive interneurons throughout the neocortex, hippocampus and the basolateral amygdala. Finally, after biocytin-labeling and morphological characterization of perisomatic and dendritic CB1-positive interneurons in the CA1 subfield of the hippocampus, we found that NECAB1 tends to be present primarily in the somatodendritic compartment, whereas NECAB2 has a higher density in the axon terminals. Taken together, the present observations demonstrate that NECAB1 and NECAB2, two previously uncharacterized calcium-binding proteins are highly expressed by CB1-positive interneurons in the hippocampus, neocortex and basolateral amygdala. Moreover, the results also support the possibility that the different calcium-binding protein profiles of the major interneuron types play specific roles in controlling the distinct physiological properties of these GABAergic interneurons. Enter JIR’s 2019 travel grant here!